As the owner of Inbodyment, I know the value and benefits of soft tissue therapies for the musculoskeletal system. I’ve been personally using massage and Crainosacral Therapy for over 30 years to help myself excel and recover from competitive sports as well as balancing the stressor of everyday life. I’ve always said, “ there’s nothing like a good massage to set you straight.” Because we know and love the benefits of these therapies provided at Inbodyment our licensed therapists are passionate, skilled and well educated. Tina is the CEO and Founder of Inbodyment School of Integrated Therapies. She grew up in Cincinnati and attended Ohio State University. In the mid 1990’s she suffered a work-related back injury. One of the rehabilitation techniques used in her recovery was soft tissue manipulation, better known as Massage Therapy. 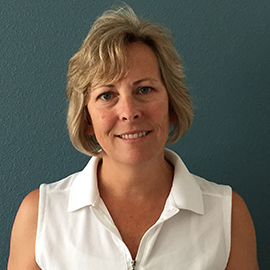 Tina was so impressed by the benefits of massage therapy and the difference that it made in her health and wellness that she decided to became a licensed massage therapist (LMT) in 1996. 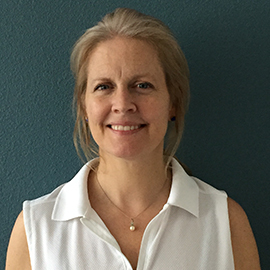 As part of her education and training, Tina studied many different approaches in massage therapy including structural alignment, lymph drainage, reflexology, craniosacral therapy, shiatsu, and energy balancing with guided meditation. Her career as a LMT led her to Heritage College located in Denver where she worked as a massage instructor. Tina moved to Florida where she presently teaches at the Florida College of Natural Health in Sarasota. 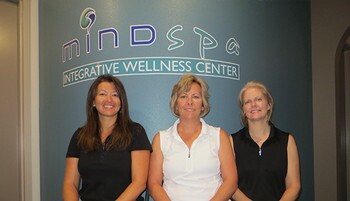 She has completed over 8,500 massage therapy sessions over the past 18 plus years. Jen Tescher is a licensed massage therapist and facial specialist. She studied sociology at the University of Houston, received her paralegal degree from Andover College in Portland, Maine and graduated from the Florida College of Natural Health for both her massage therapy and aesthetician education. Jen is enjoying her second career, segueing from an extensive background in the legal field, working for many years for the Cumberland County District Attorney’s Office, in Portland, Maine, as both a trial assistant and a victims’ assistant in the Domestic Violence Unit. She worked closely with Family Crisis Services for several years and participated in an Integrated Community Response Team. She helped form the unit and received awards for her work with battered people. It was during this time that her interest in massage developed. It was her dream to become a body worker, but, as a single, working mother, her dream was shelved for more than a decade. She moved to Florida in 2001 and traveled back and forth to Maine during her parents’ final years. Her greatest areas of interest and focus for her continued education include Craniosacral Therapy, Reflexology and Hospice Massage. She’s an active member of the Florida State Massage Therapy Association (FSMTA). Christina is a licensed massage therapist who graduated from the Florida College of Natural Health. Her studies focused on deep relaxation massage, craniosacral therapy, sports massage, table stretching, reflexology, structural integration, shiatsu, hydrotherapy, and lymphatic drainage. Her advanced training which continues today focuses on postural structural alignment, sports massage and craniosacral therapy. Christina works with people of all ages which include children as young as 4 and seniors well into their 90s. She has also worked with student athletes at IMG Academy located in Bradenton to help them reach their peak performance in various sports. 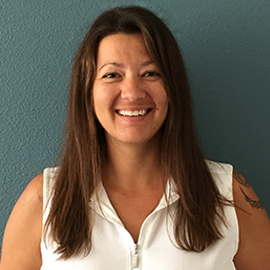 Christina is an active member of the American Massage Therapy Association (AMTA).